On the 11th September, 1968, the Government of India announced the broad details of the scheme for constituting within the State of Assam an autonomous State comprising certain areas specified in Part A of the table appended to paragraph 20 of the Sixth Schedule to the Constitution. Clause 2 of the Bill seeks to insert a new article 244A in the Constitution to confer the necessary legislative power on Parliament to enact a law for constituting the autonomous State and also to provide the autonomous State with a Legislature and a Council of Ministers with such powers and functions as may be defined by that law. Clause 3 of the Bill makes a consequential amendment to article 275 in regard to certain special grants payable to the State of Assam in respect of the areas which may form part of the autonomous State. 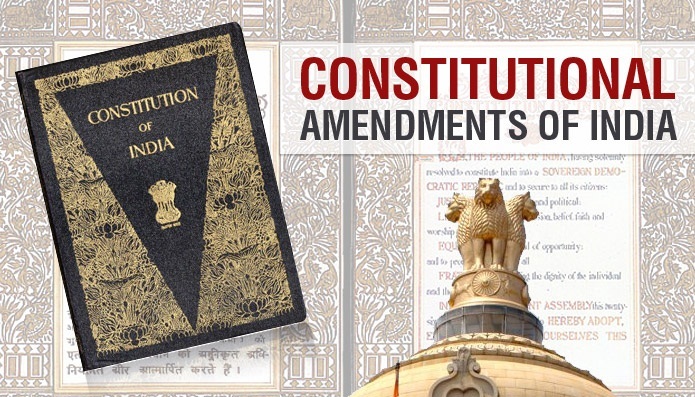 Clause 4 of the Bill provides for the constitution of a committee of the Assam Legislative Assembly consisting of members of that Assembly from the tribal areas aforesaid and a few other members of that Assembly, as envisaged in the scheme. 1. Short title. - This Act may be called the Constitution (Twenty-second Amendment) Act, 1969. (3) An amendment of any such law as aforesaid in so far as such amendment relates to any of the matters specified in sub-clause (a) or sub-clause (b) of clause (2) shall have no effect unless the amendment is passed in each House of Parliament by not less than two-thirds of the members present and voting. 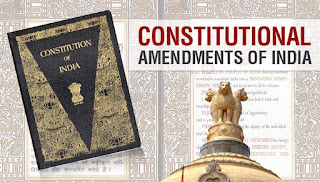 (4) Any such law as is referred to in this article shall not be deemed to be an amendment of this Constitution for the purposes of article 368 notwithstanding that it contains any provision which amends or has the effect of amending this Constitution.". (ii) there shall be paid out of the Consolidated Fund of India as grants-in-aid of the revenues of the autonomous State sums, capital and recurring, equivalent to the costs of such schemes of development as may be undertaken by the autonomous State with the approval of the Government of India for the purpose of raising the level of administration of that State to that of the administration of the rest of the State of Assam.". "371B. Special provision with respect to the State of Assam.- Notwithstanding anything in this Constitution, the President may, by order made with respect to the State of Assam, provide for the constitution and functions of a committee of the Legislative Assembly of the State consisting of members of that Assembly elected from the tribal areas specified in Part A of the table appended to paragraph 20 of the Sixth Schedule and such number of other members of that Assembly as may be specified in the order and for the modifications to be made in the rules of procedure of that Assembly for the constitution and proper functioning of such committee. ".